A beautifully presented 5 Bedroom Detached House situated on this sought after Award Winning Development in the Derwent Valley offered with vacant possession, no chain involved. Surrounded by fantastic countryside yet being within 30 minutes of Newcastle City Centre and built to a high specification with quality fittings throughout including luxuriously appointed and designed kitchen and bathrooms and the addition of solar powered heating and a double garage. I've used Harrington Brown several times and the service has always been excellent! Would highly recommend Harrington Brown to anyone buying or selling - fantastic all round customer service. Just wanted to say a big thank you for helping us move house. Your support was fantastic. WE ARE CURRENTLY EXPERIENCING PROBLEMS WITH OUR E-MAIL ADDRESS SO IF YOU NEED TO GET IN TOUCH PLEASE RING 01207 588800 INSTEAD. MANY THANKS. Thank you for visiting our website. We feel certain that we will be able to assist you whether you're buying or selling a residential property or seeking to take advantage of one of the many other property services we provide. 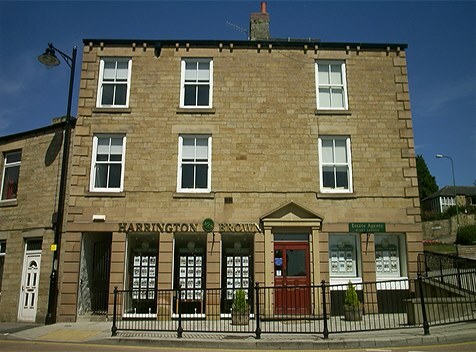 Whether it's a new house you're looking for, or an old house you're selling, property to rent or land for sale - choose Harrington Brown for experience and service.